On Monday 23 June 2014 a webinar entitled “Δημιουργία ομάδων, αξιολόγηση και εκπαιδευτική αξιοποίηση ΤΠΕ στα projects/ Evaluation and ICT integration in project based learning” was held in Greek. The Summer School 2014 has been successfully completed! 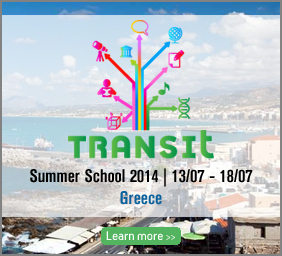 The Open Discovery Space International Academy 2014 took place in Marathon, Greece from 13/7 to 18/7/2014. Read more about The Summer School 2014 has been successfully completed! On Friday, 11 April 2014 at 17:00 CET a webinar entitled “How to Design and Assess Learning Activities fostering a Competence – Based Approach” was held in the context of the eTwinning Seminar: Competence based teaching and learning in practice.